About the plant: Geranium is a small fragrant plant with brilliantly colored flowers that grows to a height of about 3 feet. It is a genus of 422 species. Spiritual uses: Geranium invokes guardians of protection, keeping away negative energy. 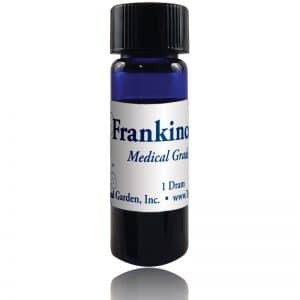 Mental uses: Geranium helps you to maintain your focus on something important when your thoughts are scattered. Its calming effect helps you sort out your thoughts. 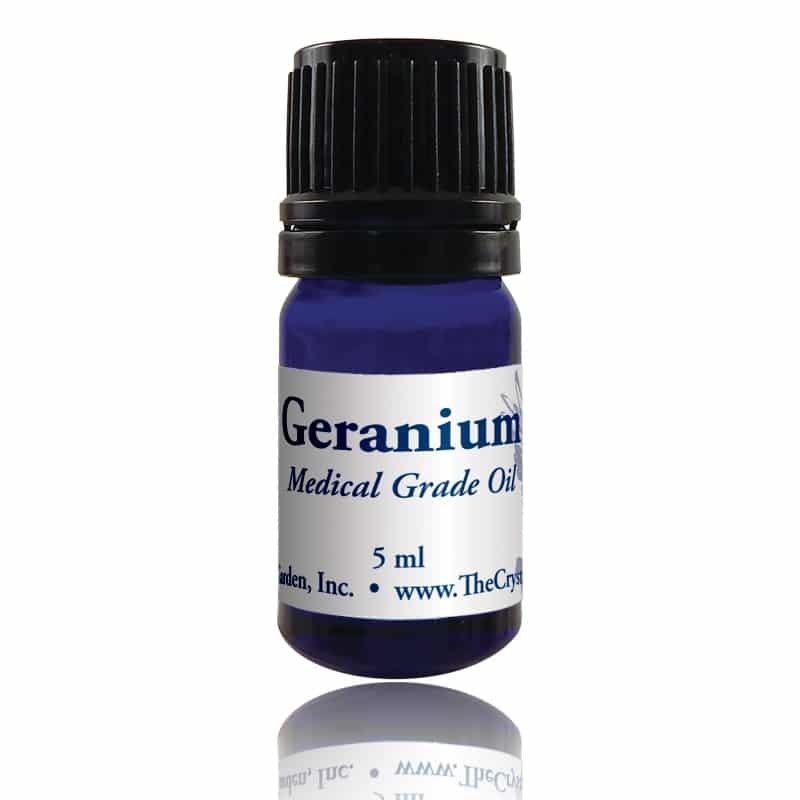 Emotional uses: Use geranium to rebalance yourself while you are experiencing hormonal havoc. 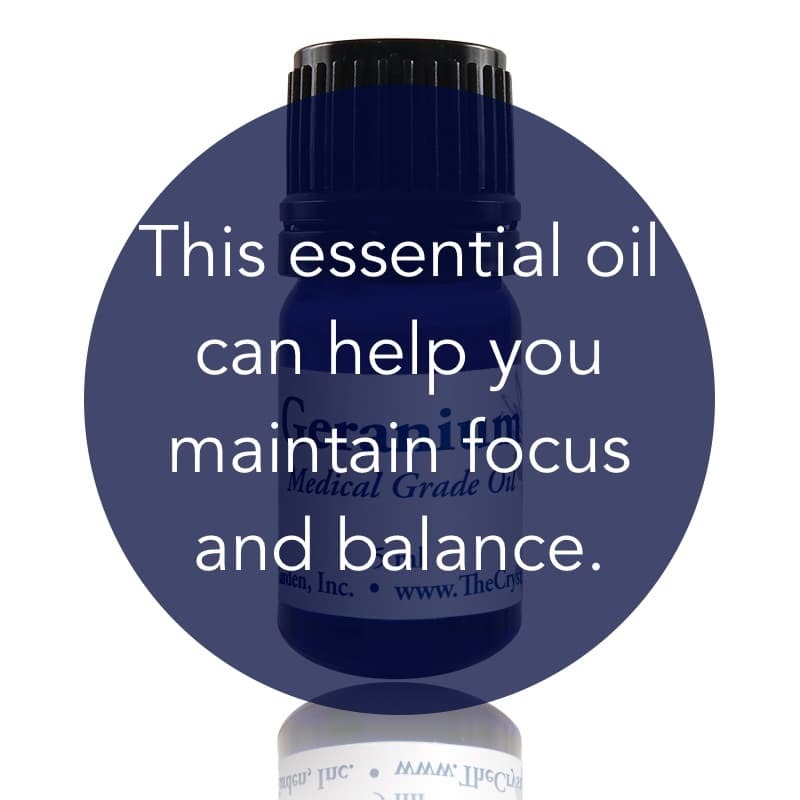 Physical uses: Use this oil in a synergistic blend with clary sage and lavender to create stability in menstrual cycles, to assist in fertility, and for relief of PMS symptoms and hot flashes. Geranium has been known to aid in clearing endometriosis. For your safety: Do not use if pregnant, although it can be helpful during labor and delivery if prescribed by a reputable healthcare practitioner.